1. Will Maxim reach the maximum? Eagan senior Maxim Zagrebelny rolled through the season in 2018, winning 28 straight matches before falling to Rochester Mayo’s Sebastian Vile 6-2, 6-1 in the Class 2A championship match. A disappointment, sure, but to the hard-hitting Zagrebelny, it was a far better result than his previous state tournament experience, when he had to forfeit because of a stress fracture in his back. Committed to the University of Wisconsin, the top-ranked senior in the state is among the small group of favorites to win the Class 2A title. His primary obstacle is Eagan’s placement in Class 2A, Section 3. 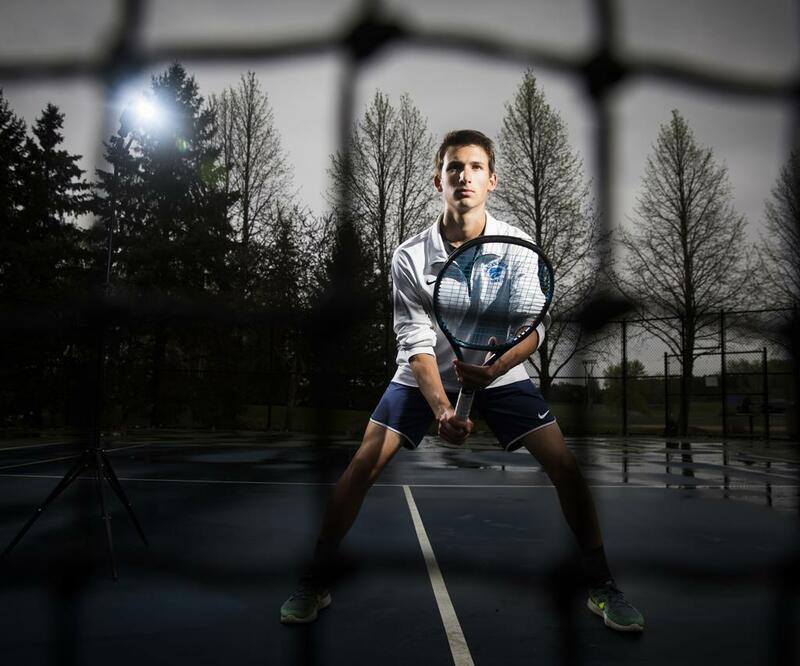 That section also includes Eastview and its stellar singles player, Gavin Young, who is ranked No. 1 in the state. Just making it to the state tournament could likely be Zagrebelny’s biggest hurdle. The name Edina has become synonymous with high school tennis excellence, so it's something of a surprise to realize that it’s been 10 years since the Hornets won a boys’ team championship (2009). That could change this season as the youthful Hornets are arguably the state’s best team. Oskar Jansson, an eighth-grader, leads a contingent of talented underclassmen that also includes freshman Otto Schreiner, sophomore Luke Westholder and the eighth-grade doubles tandem of Noah Ranger and Matthew Fullerton. The Hornets have veteran leadership, too. Senior Joey Joas and junior Ryne Reger, are both experienced varsity players and team captains. Study the list of top players in Class 2A and something quickly becomes cleary: It’s chock full of talented players who are not yet seniors. Eastview’s Young, a sophomore, is the highest-rated high school player in Minnesota according to USTA Northern Region junior rankings. Mounds View’s top player is freshman Bjorn Swenson. The top two players at Blake are junior Joe Mairs and sophomore Sujit Chepuri. East Ridge’s No. 1 is junior Caleb Fridinger and we’ve already addressed Edina’s horde of young talent. Pay attention to the names that reside atop the rankings this season. They’ll likely be around a while.